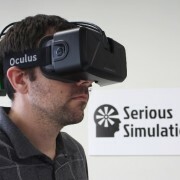 ORLANDO, Fla. — Serious Simulations, LLC an innovative provider of human motion based, mixed and virtual reality training systems for the military, law enforcement, firefighting, and sports communities, was featured in the September-October 2016 issue of Military Training & Simulation News, a publication available online and in print published five time a year. Chris Chambers, founder and CEO at Serious Simulations, said the article focused on two companies exhibiting at the International Interservice Training, Simulation and Education Conference (I/ITSEC) at the Orange County Convention Center in December. The two companies featured were a large defense “prime contractor” (CAE Inc.) and an innovative small business (Serious Simulations) in order to exemplify the breadth of the industry. The article reported that Serious Simulations holds a leading position in the simulation industry for innovation and problem solving. Successes to date have stemmed from the company’s reliance on innovative design which is founded on providing total realism in simulation. The company has five patents granted or pending, with two more on the way. They invented latency free wireless video for Virtual Reality, wireless data sensing weapon “skins” that enable real weapons to be used in simulators, and highly accurate, “zero drift” machine gun tracking systems for simulators. Serious Simulations also has introduced the world’s only wireless Peripheral Vision Immersive Device (PVID), which enables true human peripheral vision in a virtual reality experience, without a latency penalty. The firm now produces the fastest wireless display delivery technology in the world. 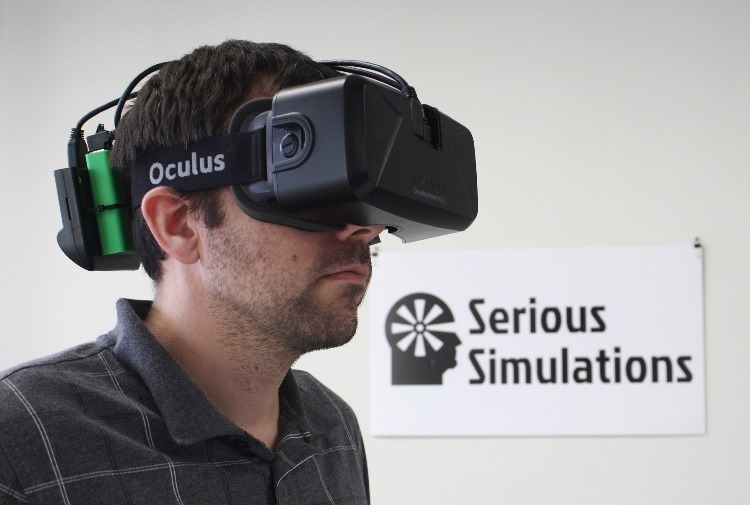 Serious Simulations is a Florida corporation and is a client of the UCF Business Incubation Program in the Central Florida Research Park in East Orange County.